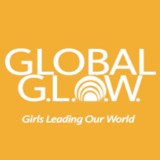 Glow Gala is a fundraiser event celebrating the empowerment of girls, with a strong authentic voice, a girl becomes an advocate for herself and her future. When girls are empowered they generate an upward spiral that breaks the cycle of poverty, transforms families and the world. This global inspired event features a spectacular evening at the five star Resort at Pelican Hill, an influential line-up of inspiring speakers, a live auction with enticing travel escapes, a seaside cocktail reception, gourmet seated dinner, exciting program and live entertainment. Global G.L.O.W. (Girls Leading Our World), a nonprofit based in Santa Ana, Calif., that works to ignite the power of girls as a potent force for global transformation. G.L.O.W. mentorship programs ignite the power of strong girls, grades 5-12, in 5 U.S. states and 26 countries in the most profoundly challenging communities. All gifts made to Global G.L.O.W. including donations to the Glow Gala directly benefit our local and international programs. 100% of the proceeds from the gala will directly fund our programs to strengthen girls. 25 volunteers are needed. At least 18 years of age. Volunteers will receive dinner and a gift bag.